When good health is on your mind, but that party sounds way too fun to miss out on, add a little fresh fruit juice with a kick of hot pepper to the mix! Malibu Rum offers a sweet coconut flavor that when blended, stirred, or splashed in fruit juices becomes something pretty amazing. 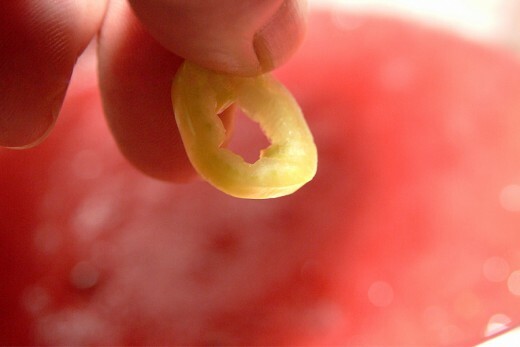 Then, be brave by tossing in the heat of a hot chili pepper only to discover a whole new dimension to fresh squeezed cocktails! The best part, just a little goes a long way in flavor as well as fun! If you are not a rum drinker, or are just not a drinker at all, simply replace the Malibu rum with coconut milk. You can use the fresh stuff right out of the coconut, or pick up a can of coconut "water" at your local market. I have even used Piña Colada mixer in a pinch (just make sure it's the non-alcoholic kind). 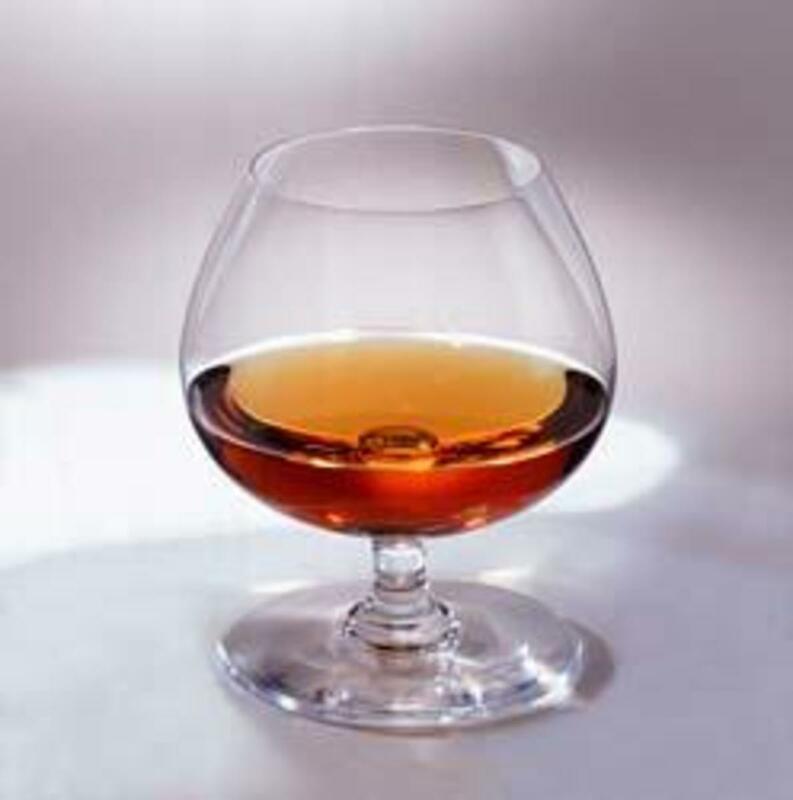 I realize that when we think of keeping our bodies healthy, alcohol is not at the top of the list for most of us. 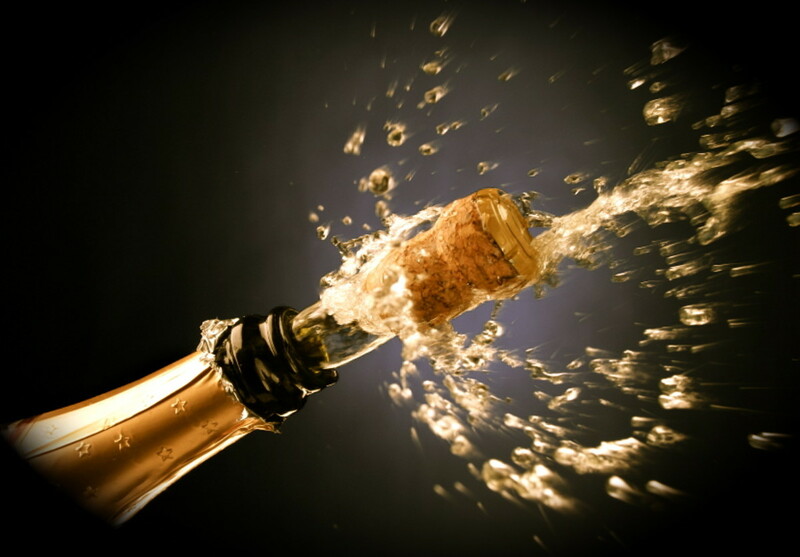 However, the reality is that most people are going to drink some kind of alcohol at some point in their lives. 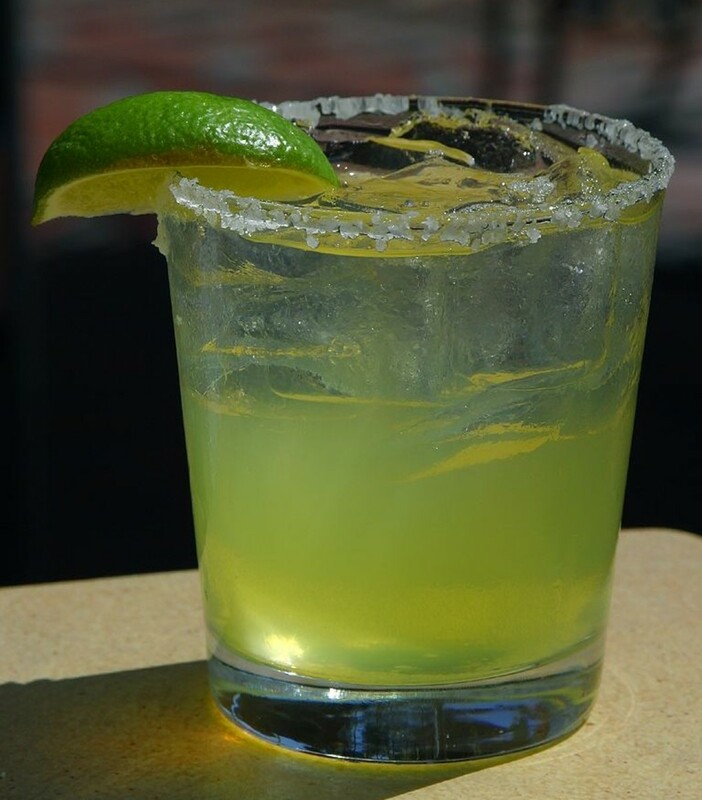 when done in moderation, there is nothing wrong with a little buzz to settle the nerves or raise your spirit. So, when the urge to enjoy life with a cocktail in hand pops up, give yourself some peace of mind by drinking Malibu Rum cocktails with hot peppers, mint, and fresh squeezed whole fruit juices. Let these truly fresh ingredients— which are high in potassium, minerals, vitamins, capsicum, and water content—help you ward off the after effects of that amazing pool party you have planned for this summer vacation. Bottoms-up, not literally of course!! 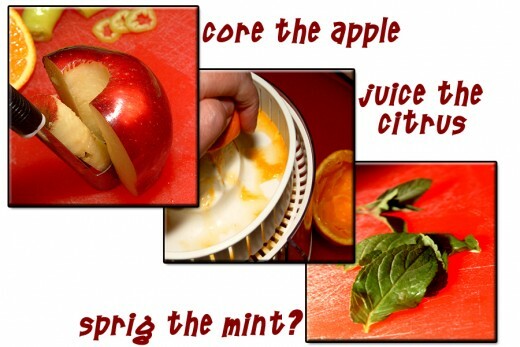 Toss all of the prepped ingredients into the blender along with 6 or 7 fresh mint leaves. 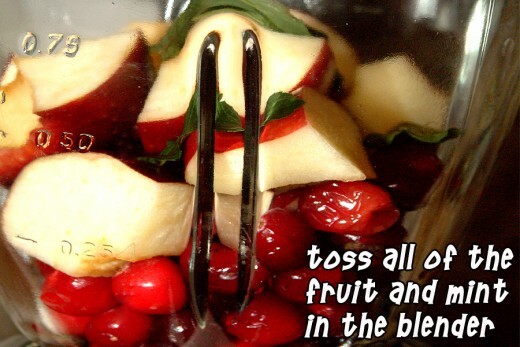 Pulse the ingredients, then give them a good spin on the "smoothie" setting for 10-15 seconds. 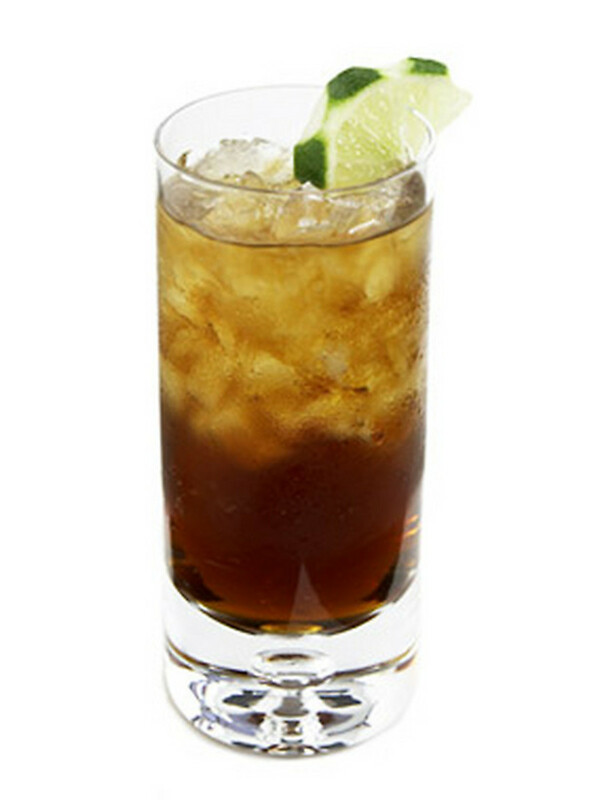 Pour in the ice cubes and then the rum. 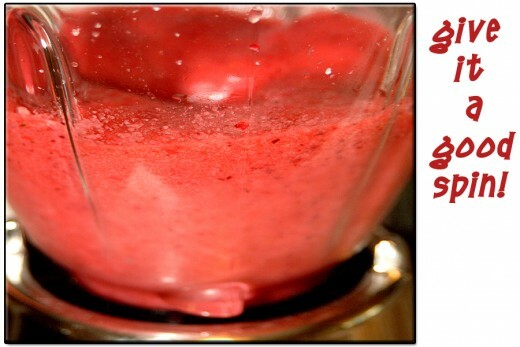 Blend on "smoothie" setting until the mixture of ingredients gets nice and frothy. I lift the center removable section of the blender lid to allow more air to get incorporated into the mix. Pour the cool frothy cocktail into a chilled glass. 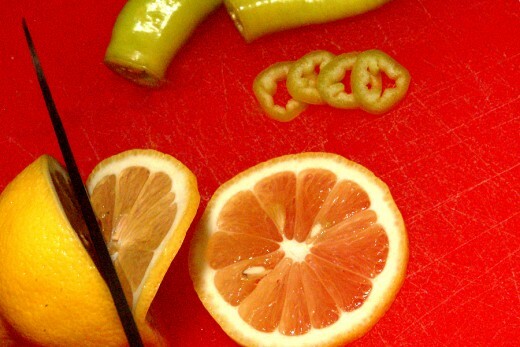 Garnish with a sprig of peppermint, a lemon wheel, and a hot pepper wheel. Serve immediately. Some bartenders (who shall not be named, but you know who you are) will put a menagerie of fruits, leaves, and foul weather gear on the rim of a beverage, much of the time having no regard for the importance of such decorative clues. Every drink garnish has a very important job to do, of which the bartender should embrace! This delicate blend of this suspended décor is delivered to the consumer as an offering, a warning if you will, as to what the cocktail recipe might contain. 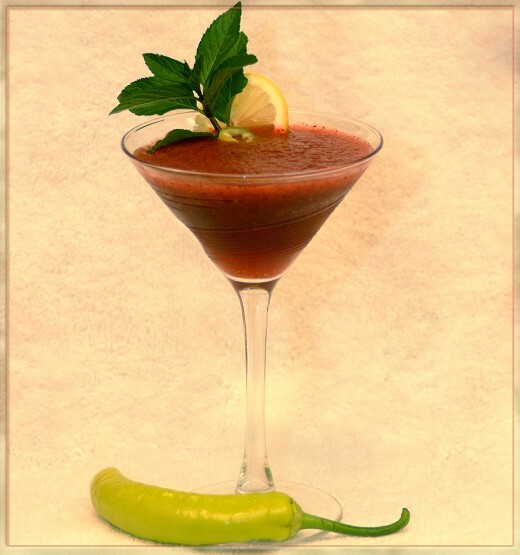 As with our Red Rum Hot Pepper Cocktail today, that tiny sliced wheel of chili pepper serves to clue-in the drinker that a "swat" of spicy-heat is in their very near cocktail future! 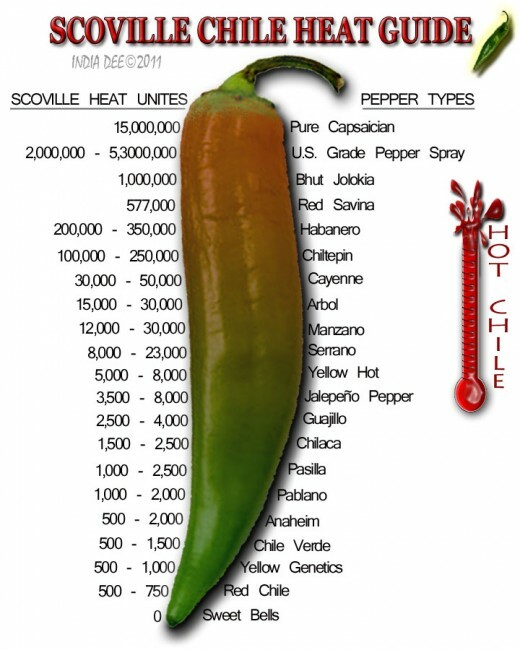 Have you ever had a hot chilli style cockail? 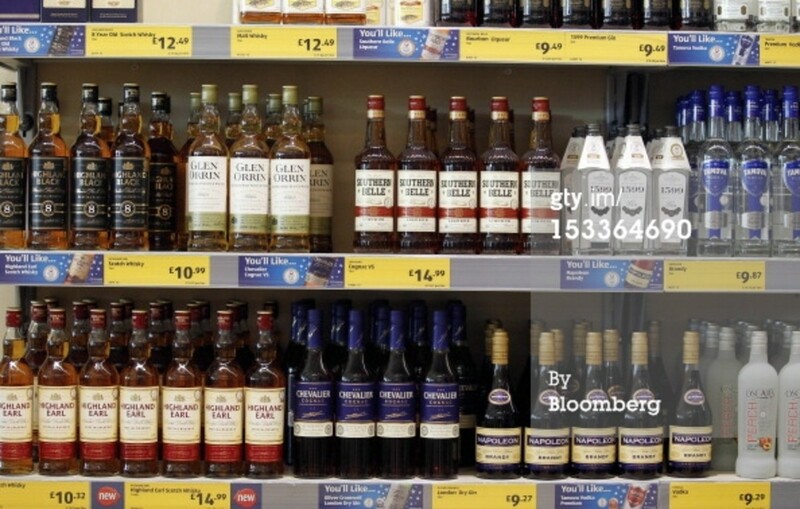 Aldi Highland Earl Scotch Whisky. Comments "My Red Rum and Hot Pepper Cocktail"
I have a decanter of rum that is stuffed with Thai chilis! I am going to improvise your drink tonight so I get rid of a cold!!! 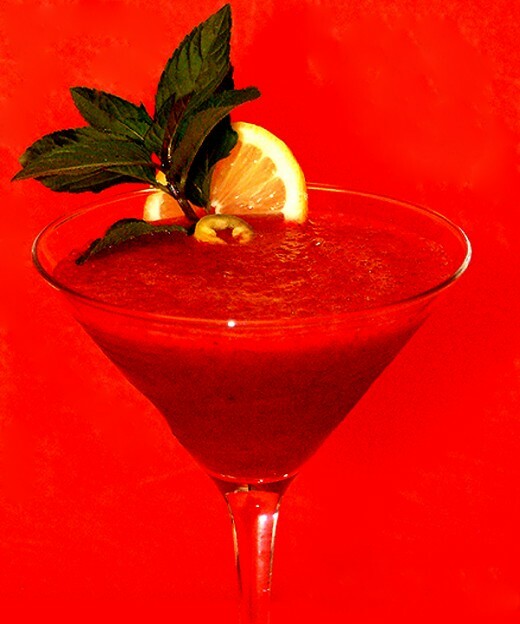 Simone~ I hope your friend enjoys the spicy drink! Thank you for stopping by for a red rum read! I have a friend that would absolutely love this. Thanks for the spicy recipe, K9! GORDON!! What a nice surprise to find you here today! (Big K9 smile!) I must admit, I appreciate your whiskey recipe! I am so flattered that you approve of the hot pepper rum drink here, it is indeed a far more interesting cocktail than most. So happy you made it by my friend! Doc Sonic~ I am with you! 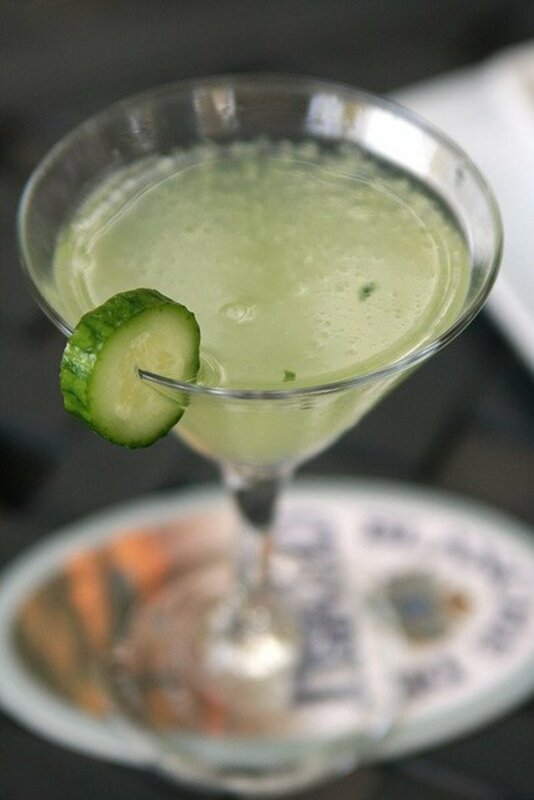 Three of the major food groups in this" healthy" --and spicy--cocktail! LOL! It definitely lifts ones spirits on a hot day. Thanks for stopping by! LetitiaFT~ I hope you enjoy it! 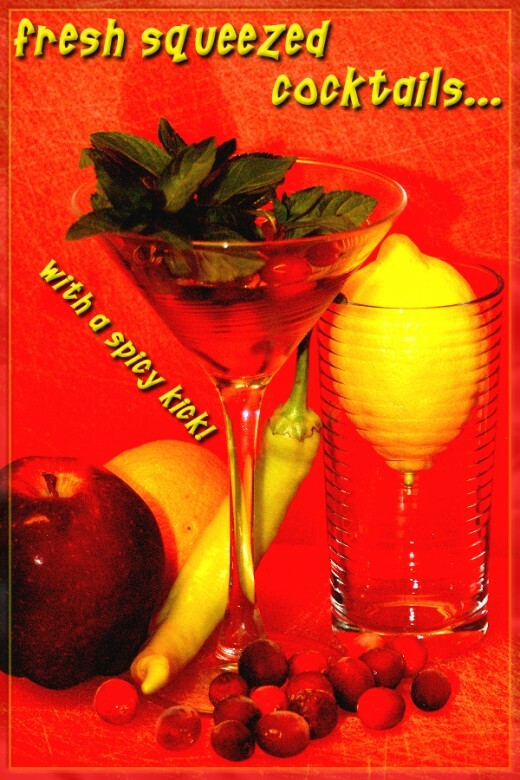 It is a cocktail refreshment with one spicy kick! I'm not normally a cocktail person - the only thing I like added to my whisky is more whisky :) - but this certainly sounds intriguing. I love the kick of peppers and combining them with the kick of an alcoholic drink certainly sounds more than interesting. Great idea and I have added this prominently to my "To do" list! Nice! 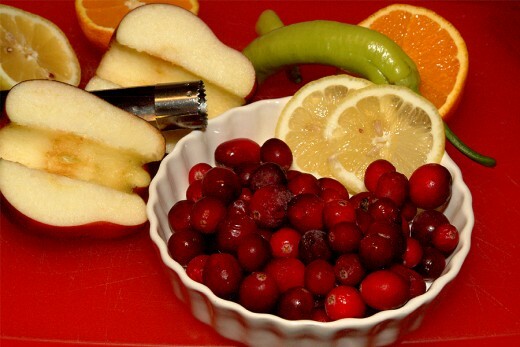 Rum, fresh fruit, and spicy hot peppers - that's three of the major food groups right there! No wonder it's healthy. ;) Voted up and Pinned. Goodness, this looks scrumptious. A must try! 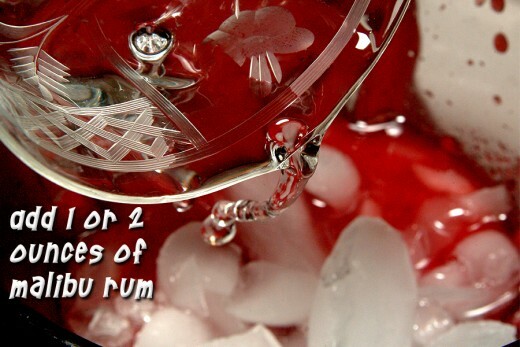 shin_rocka04~ I hadn't thought about this rum cocktail making a good salsa,...it has a pretty bright flavor. Now I have to whip up a batch and dip a chip or two! This looks pretty good and I bet it would probably make an excellent salsa for chips as well. Jools99~ What a treat to be shared with your FB friends! Thank you. What a great idea to serve this at a themed BBQ party! 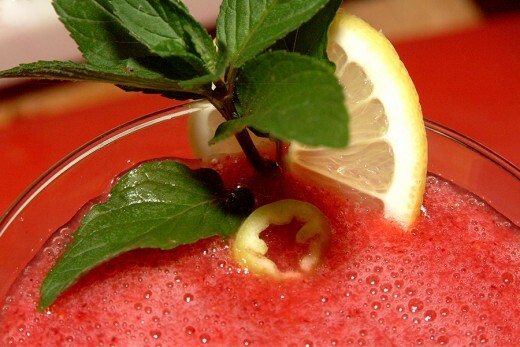 Your hub on "Barbecue Party Ideas" is the perfect mate for this drink! Thanks for stopping by today, I am honored that you did. Docmo~What a wonderful comment! I hope you find that delectable individual and blend-up a spicy rum cocktail to share. It is a very refreshing and stimulating cocktail to say the least. Thank you for bringing a warm beach moment to this comments section. Quite grateful for your time! I really like Malibu but would never have thought about mixing it with chillis - I am brave enough to try this I think - but will maybe make it on a girly night in or one of my themed barbecue parties. Intriguing! Voted up! Also putting on my Facebook page - some of my friends like cocktails too. Ooh some of my favourite ingredients (and fruits!) I can almost imagine these flavors. 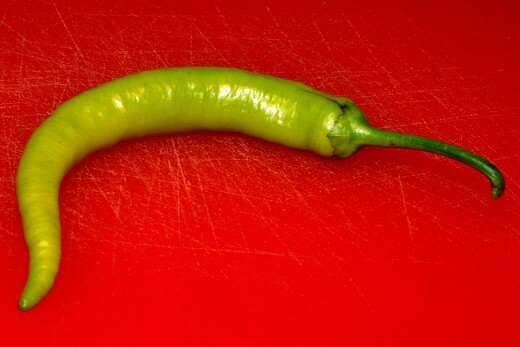 Malibu and chilli peppers. Mint. mmmm. 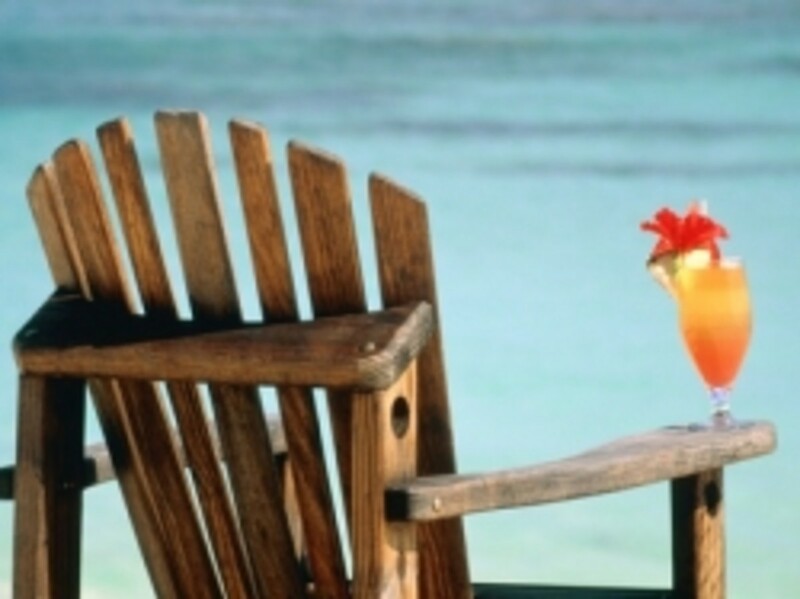 All I need is some sunshine, a lounger, a beach and a book ( or a delectable companion) I'm in heaven. voted up/awesome.